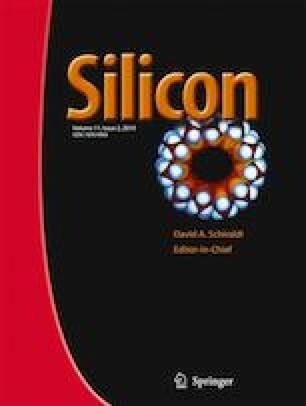 A new Metal Semiconductor Field Effect Transistor (MESFET) structure in Silicon on Insulator (SOI) technology will be introduced in this paper. In our idea, an oxide barrier is used on the drain side of the gate to improve DC and AC characteristics of MESFETs. We call the proposed structure as modified equipotential contour MESFET (MEC-MESFET). Our main reason to present this proposed structure is to modify the equipotential contour distributions by using the oxide barrier. In addition, the oxide barrier has a greater energy band gap rather than a silicon (Si) semiconductor. So, in comparison with Si, it will break at higher voltages. The maximum electric field occurs on the gate edge near the drain side in a conventional MESFET (C-MESFET). Therefore, in the proposed structure, by placing an additional oxide barrier in the drain side of the gate and modifying the maximum electrical field in this part, the breakdown voltage increases. The drain saturation and breakdown voltage of the proposed structure improve 21 and 29 percent, respectively, which increases the maximum output power density to 56 percent in comparison with conventional silicon on insulator MESFET (C-MESFET). Moreover, the gate capacitance decreases by using the oxide barrier and consequently improves the frequency characteristics like Unilateral power gain (U), Maximum Available Gain (MAG), current gain (h21), and noise in comparison with the C-MESFET.